Mad About Slots Review - Accepts Boku Mobile Carrier banking! At Phone Bill Casino we’re not just crazy about mobile banking, we also love to play top quality slot games. This is why Mad About Slots is ideal for all online gaming fans, because you can access them on mobile and they offer Boku Mobile Carrier. You can access top gaming the moment you hit the home page, because they provide a range of the latest game launches. If you’re looking to dig a little deeper, then you’ll notice that Mad About Slots split their games into Casino, Slots and Scratch Cards. Within the Casino section there are a number of live games which will give you that Las Vegas feel, without the expense of getting there. Mad About Slots bring you all the popular games from the top providers, such as Bridesmaids Slots and Starburst. Of course having a huge range of games isn’t worth it, if you can’t access them whenever you want. That’s not a problem with Mad About Slots because they are accessible on desktop, mobile and tablet devices. Accepts Boku Mobile Carrier Billing. Mad About Slots are all about the regular promotions, as they believe in rewarding their loyal players. As such there is only one new player bonus, but it’s still pretty good. When you make your 1st deposit, you’ll receive a 100% cash match bonus up to £200. So if you were to add the maximum amount, you’d receive an additional £200 or a grand total of £400. Monday Madness – On what is probably the worst day of the week, you’ll receive an email from the Mad About Slots crew full of bonuses. 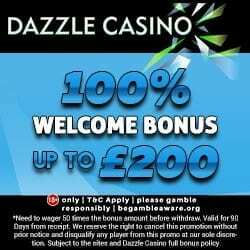 Every Monday you should receive their newsletter, then all you have to do is deposit a minimum £20 and use the codes of your chosen bonuses. Game of the day – Wednesday may be closer to the weekend, but it’s still not close enough. Check out the game of the day, which is available for players who have deposited in the previous 7 days. 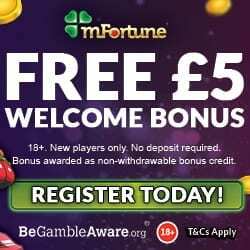 You will receive an email confirming their chosen game and how many bonus spins, the rest is up to you. We find this is the perfect way of trying out a new game, like Avalon Slots, without having to spend any of your own money. Happy Hour – Although this offer is called Happy Hour, you’ll actually find it covers a whole 12 hours. Head to Mad About Slots on a Sunday and deposit between noon and midnight, then you’ll receive 20% cash back up to £100. Just enter the code HAPPY as you deposit and the extra credit will be added to your account. Weekly Surprise – Every Tuesday simply by depositing, you’ll enjoy a weekly extra. The bonus will vary depending on how much credit is added, but who doesn’t love a surprise. Live Dealer Cashback – Most of us love the feeling of being in a live casino, but with life commitments it can be tough finding the time to go. 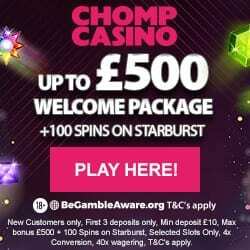 Why not play a live casino game and enjoy a little cashback! If you play live dealer roulette on either a Saturday or Sunday, you’ll enjoy 30% cashback on your aggregated losses. The minimum pay-out is £5 and the maximum is a whopping £300, with funds being added into your account on the following Monday. You’re special from the moment you register on Mad About Slots and that’s because you automatically become a member of their VIP Club. There are five levels including Bronze, Silver, Gold, Platinum and Diamond. You move through the levels by collecting points as you wager and each offers bigger and better rewards. With so much on offer it can be difficult to keep up and that’s where social media comes in. Mad About Slots have pages on Facebook, Twitter and Google+, and it’s here you can keep up on the latest game launches and promotions. There are even special extras for their social followers, such as bonus spins and prize draws for cash or holidays; it’s always good to be social. We’re sure you can find everything you need easily on the site. But should you have any issues you can contact a representative 24/7 via live chat and email. There is a comprehensive FAQ section which covers general areas such as bonuses, gaming and depositing. They accept the usual banking methods including Credit and Debit Cards, Neteller, Skrill, Paysafe Card and of course Boku pay by phone bill. So why not go crazy on these amazing promotions and head over to Mad About Slots!